Serena Williams won a dramatic French Open final against Czech 13th seed Lucie Safarova to claim her 20th Grand Slam title. 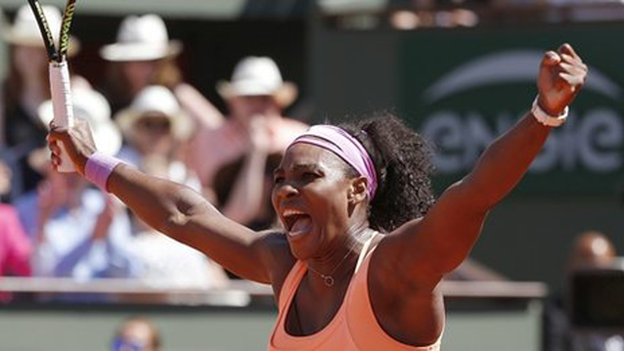 The American, ranked number one, needed two hours and one minute to win 6-3 6-7 (2-7) 6-2 at Roland Garros. Safarova, playing her first Grand Slam final, led by a break in the decider but Williams won the last six games. 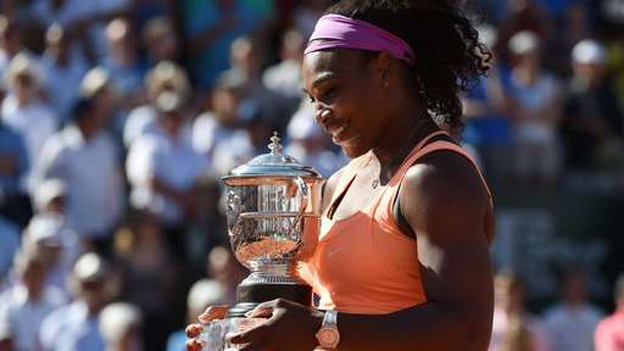 The 33-year-old becomes the third player - male or female - to win 20 major singles titles. Only Germany's Steffi Graf on 22 has won more since the open era began in 1968, with Australia's Margaret Court collecting 24 between 1960 and 1973. Victory at Wimbledon in July would see Williams hold all four major titles at once, having managed the feat already in 2003. There had been doubts over whether the 2002 and 2013 French Open champion would even make it to court for Saturday's final after a debilitating bout of sickness. Williams had visibly struggled in Thursday's semi-final, coughing and looking close to tears, and then cancelled all media commitments, only practising two hours before the final. The rest appeared to have had the desired effect as she took the first set with a break in game four and powered on in the second. She had won all eight matches she had played against Safarova and, serving at 4-1, 40-15 in the second set, there appeared no possibility of the American faltering. However, three double faults in the game brought Safarova unexpectedly back into the contest, and the Czech kept herself alive again four games later with a backhand winner. Safarova, 28, was now much the sharper in terms of footwork and she dominated the tie-break before moving ahead with a break at the start of the decider. Williams was now struggling to keep calm, screaming at herself after errors and picking up a warning for her language from the umpire, but she proved once again why she is the undisputed number one. Safarova double-faulted for the first time in the match to bring Williams level at 2-2 and the top seed ratcheted up the pressure. Another heavy return helped her break for 4-2 and a left-handed forehand followed in the next game as Williams reached for every shot in the book, sealing victory with her seventh break of the match.